Yes, it is cold but if you are dressed correctly winter is just about the best time to visit a zoo. The crowds are gone and many of the temperate animals are more active and engaging. Today’s montage is devoted to that energy. Want to see these gorgeous animals up close an very personal? Come to my next Wildlife Photo Workshop at the Central Park Zoo on Sunday, January 25th from 8:30 to 10:30. Click here, scroll to Adult Programs and sign up. Betty & Veronica look great! as does everyone else. Judy, These are great photos!!! Thanks for sharing! Amaya looks soooo cute! I haven’t been to the zoo in so long; I have to get back there. 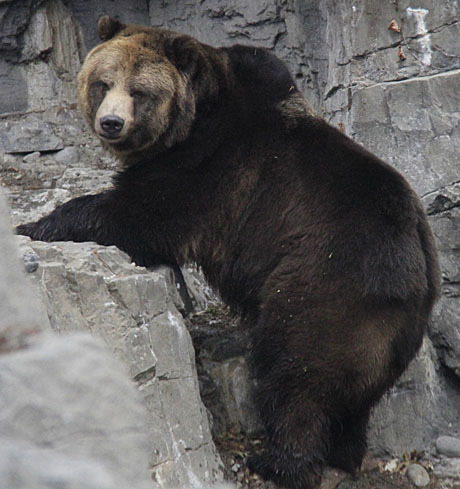 Cool pics of the bears and the other animals, too!